AnthropomorphShorts ← You Want Me To Wear What? Okay. I need to know if it’s just me. Does anyone else see a face here? 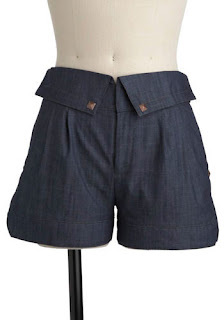 I feel like these shorts would fit right in with the rest of these inanimate, sad-looking objects. Alternately, I guess you could think of it like a polo shirt for your hips. Because, admit it. You know your hips have been dying to try a popped collar.